Postcard printing and more for businesses that value quality and service. World-class, worry-free, quality printing should be available for businesses of any size. You’ll feel confident and assured that your print and direct mail marketing will be on time and spot-on. Ask about all of our print products. Call 800-959-8365. Our Flat Cards are usually chosen for economy, speed, and when you have a single image, limited message, or strong offer. 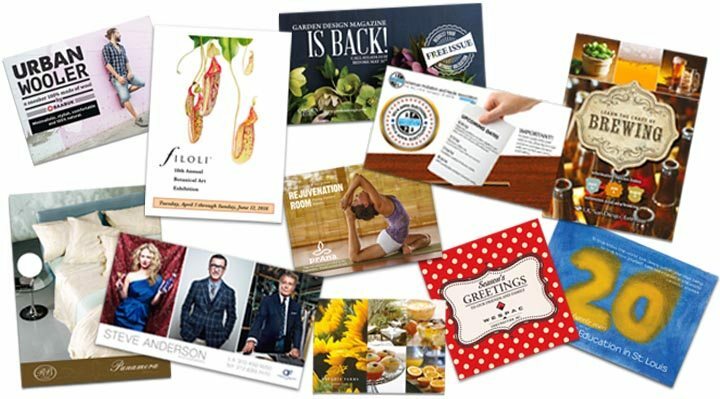 Postcard printing is used by all businesses to help promote. We offer the quality you deserve, and the personal help you need. The sizes below cover most marketing needs, but we also offer custom sizes. Folded Cards are exceptionally versatile. Used as invitations, hand-outs, mailers or display cards. They can be tabbed, tucked into envelopes, or just folded. A single fold is vertical or horizontal, while Tri-Folds have 3 panels and can be panoramic or portrait. When mailed, the tri-folds are powerful, interactive and engaging, sometimes including tip-in cards or other tactics. 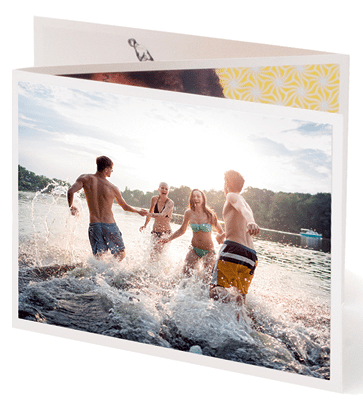 It takes postcard printing to a higher level on engagement. With a ton of room for content, our Booklets printed on premium, 100lb. Gloss Paper (matte finish available upon request). provide both versatility and beauty. 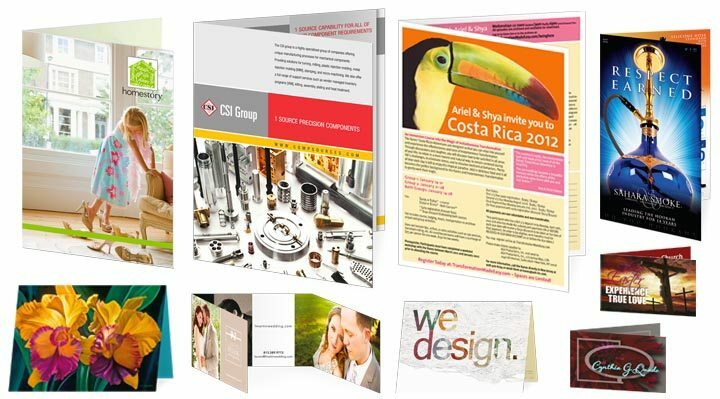 You can use them as cost-effective mini-catalogs, event handouts, design portfolios and product guides. Booklets need more careful preparation and layout, so check out our templates and guidelines, or call us before you get started. For special marketing events or unique situations, using different print products or formats makes the most sense. If it’s a calendar, door hanger, or other size of product, we print and fulfill dozens of types. We can help you determine which kind of product would be the best fit for your situation, or simply fulfill on a product size you’re ready to print. Most of our Postcard products are printed on 14pt. Premium Card Stock. 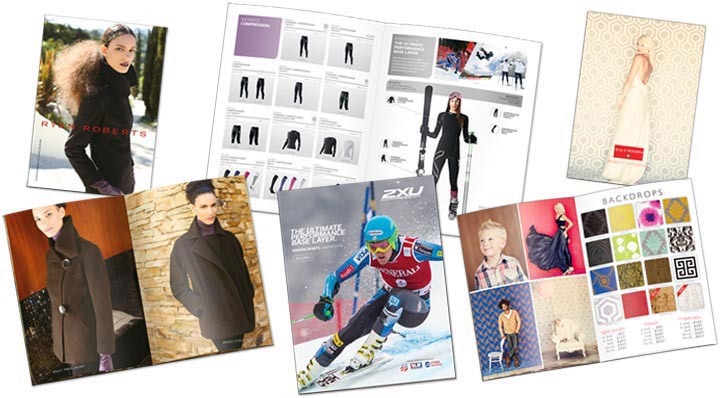 All of our Booklet products are printed on 100# paper and with different options for the cover. See paper details for each product, and contact us with questions. While high-quality postcard products are our claim to fame, we can also make just about any custom print concept come to life. The average person sees approximately 5,000 advertising messages a day. Unique elements like special finishes, textured coatings and odd shapes help cut through clutter, enabling your message to quickly get noticed and remembered. Engage your customers and rise above the competition.